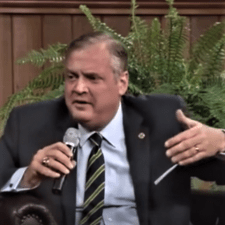 (Chuck O’Neal – Reformation Charlotte) Dr. Mohler very recently and very quietly requested his name be removed from the Manhattan Declaration! That’s a big deal, but not a historic deal. In October of 2009, Dr. Albert Mohler signed his name to a declaration that unites Roman Catholics, Eastern Orthodox, and Protestants together in “our duty to proclaim the Gospel of our Lord and Savior Jesus Christ in its fullness.” He signed his name to a declaration that unites Roman Catholics, Eastern Orthodox, and Protestants together with a “clarion call to the church” and all “Christians” to fight hand in hand together on moral and social issues.